Dangers of Eating Beef – What is Safe Red Meat? Beef may vary in composition and nutrition level based on what the animals were fed. There may be health concerns associated with red meat. Consuming grass fed animals is lot healthier and safer for us than animals that were raised on other types of food. Our diet should contain mostly plants, but when you do eat red meat, make sure that the animals that your meat came from ate 100% natural grass, and not grains, corn, or other foods that are not natural for ruminant animals. When you buy beef, do you ever wonder what was fed to the beef cattle? You may not be aware that what your animals eat can also affect your health. 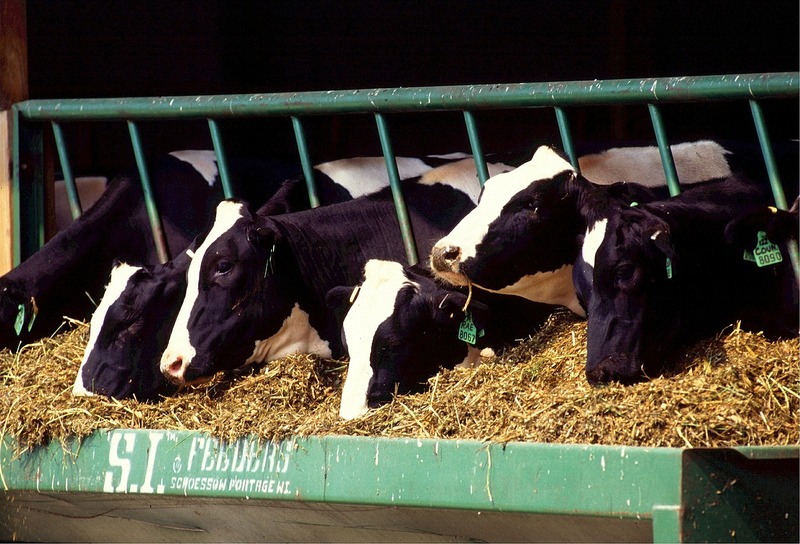 Some of the food given to beef cattle at commercial feedlots is designed only to grow animals bigger and faster. Many commercial farms have also made it a common practice to use antibiotics and growth hormones to increase animal production. All these issues are raising controversies and health concerns around the world. 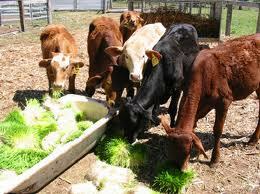 Studies shows that animals that are 100% natural grass fed and farm raised, contain higher levels of nutrients. They contain more of the good nutrients such as omega 3 fatty acids, vitamins, and less fat. Commercially grown and raised beef cattle are often fed a grain and corn based diet, which is meant to increase the body mass of animals quickly. We are going to discuss some of the potential health hazards associated with eating beef. Eating red meat can be linked with health issues such as high blood pressure, blood cholesterol, obesity, asthma, and so on. 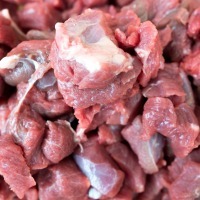 Although beef has a high nutritional value and it’s packed with protein, it also has high levels of saturated fat, which can contribute to diabetes, heart diseases, and may even promote cancer, as some experts believe. Clogging of arteries: A compound found in red meat called carnitine has been linked to atherosclerosis, which is hardening or clogging of arteries. Shorter lifespan: A recent study by Harvard school of public health has concluded that people who indulge in an excessive amount of red meat may shorten their lifespan. Livestock farming pollution: Livestock farming may produce a huge amount of pollution that contributes to methane gas emission and global warming around the world. The United States is one of the major beef producing and consuming countries of the world, and so, if agriculture is not done in sustainable way, it could become a major cause of pollution. Meat can be full of hormones: Hormone added and GMO fed beef can cause many side effects in humans and in the environment. It increases the risk of breast cancer, according to a study published in the Archives of Internal Medicine. There is a huge difference in meat quality of beef that comes from commercial feedlots and the beef that comes from organic farms. Beef cattle raised in organic farms have a relatively safer meat structure and higher nutritional value. They have lower amounts of saturated fat and higher amount of omega -3 fatty acids, vitamins, and minerals. Free from drugs and antibiotics: Most beef you can buy at the supermarket comes from cattle that were fattened as quickly as possible with grain based food, GMO food, growth hormones and antibiotics. Eating farm grown, pasture raised beef does not pose the risks associated with these artificial and unnatural elements introduced in their feed. Some of the concerns associated with the mainstream beef products are obesity, blood pressure, cholesterol, antibiotic resistance, and even cancer. Grass fed beef is higher in nutrition value: The digestive systems of ruminant animals are designed to get nutrition from perennial grasses. Feeding those grains and corn puts their digestive systems under pressure. Moreover, antibiotics and hard-to-digest grains can alter the bacterial balance and composition in the stomachs of animals. Poor gut health may promote diseases in cattle and produce poor quality meat. Grass fed beef produce the right kind of fatty acids and nutrients that are a lot safer for human consumption. Better living conditions than on feedlots: Feedlots are often packed with animals in a close confinement that may also become a threat to animal health and welfare. When you buy from an organic farm, you also support your local butchers and you ensure that the beef you are eating was raised in its natural surroundings, eating its natural food. Eating red meat is often linked with several types of diseases, such as high cholesterol, blood pressure, diabetes, clogging of the arteries, and also breast cancer. Reducing red meat consumption will reduce the risk of a wide variety of diseases. Improper agricultural practices are also blamed for pollution, cause ecological imbalances, and introduce harmful elements and greenhouse gases into the atmosphere. When you do eat red meat, make sure that your beef comes from an organic farm, and the animals were given natural food. Knowing how your animals were raised and what they were fed may help you reduce the risk of several illnesses. Organically grown food may cost you more, but it’s worth the extra cost. 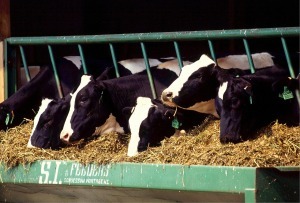 Want a sustainable feeding system for your farm animals? 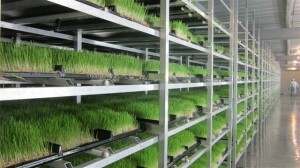 You can grow your own luscious micro green grasses through aquaponic system. To learn about sustainable agriculture and DIY sustainable feeding systems please contact us at 303-495-3705 or Click here to book a meeting with us. We’d love to hear from you, so please visit our Facebook Page and leave your comment there. We’d also appreciate it if you leave your comment in the comment box below.